I recently reread this article and it makes a lot of sense. What do you think about these questions? 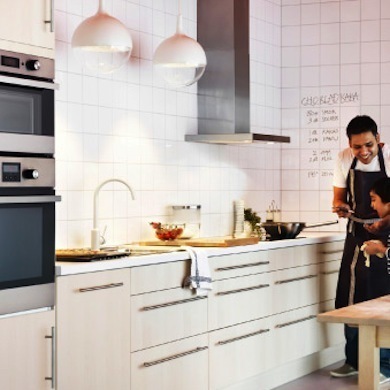 As the manager of the kitchen department in IKEA’s Paramus, NJ, location, Carol Smith is used to helping customers create their dream kitchen — even when space is limited. Here, she shares 10 things to consider before planning your own renovation. The needs of a family will inevitably be different from those of an empty nester. A family might wantfood storage lower or the microwave more accessible, so older children can help themselves to an after-school snack. 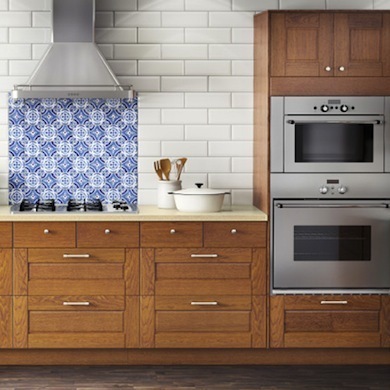 A couple, meanwhile, might opt for an island with a cooktop and bar sink. 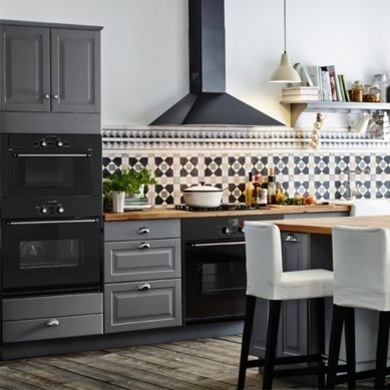 A serious entertainer may want wall ovens, under-counter beverage refrigerators or additional room forappliances, so a layout will need to accommodate these extras while maintaining clean, uncluttered counter space. 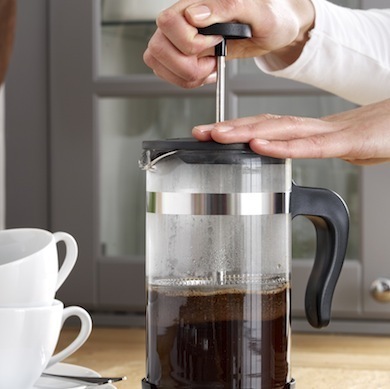 Homeowners should have an idea of their “must-have” features as well as secondary, or “nice-to-have,” features. Your budget will ultimately determine which items will make it into the final plan. Even in a small space, try to achieve the “work triangle,” that optimal configuration between the stove, refrigerator and sink. 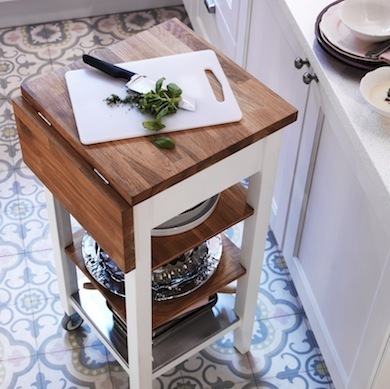 Rolling carts offer storage and workspace, and their mobility frees up built-in space to accommodate the triangle. How can you maximize storage? Pull-out interiors and rotating carousels can make accessing tough corners much easier. 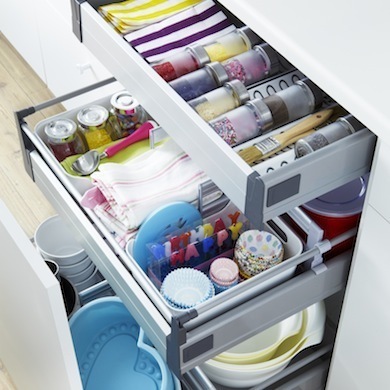 Even drawer organizers can make a big difference. 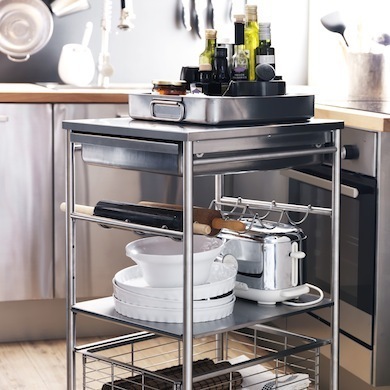 Better organization translates into more space, and in a small kitchen that’s a plus. 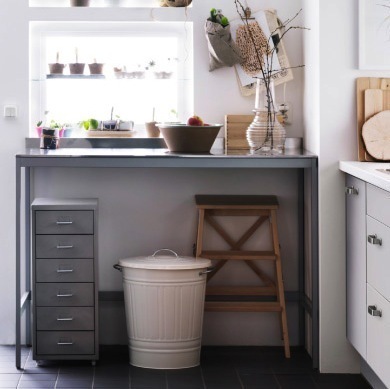 In a small kitchen, an uncluttered look is essential. 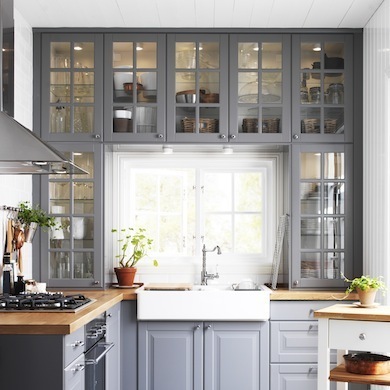 Many people like the decorative effect of glassdoors on cabinets, but always ask yourself, “What’s going behind the glass?” Stemware can look beautiful; canned goods not as much. Lighter colors and reflective surfaces like stainless steel, chrome and high-gloss fronts tend to open up a small space. But never underestimate the magic of lighting! 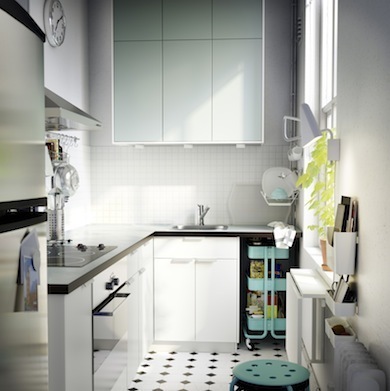 Under-cabinet lighting and other options can make small, gloomy spaces appear more inviting.